As it becomes increasingly more difficult for Sales Representatives to gain access to physicians, the need for timely, relevant and value-focused engagement is now more important than ever. Digital technologies, professional communities and social media have changed the way physicians educate themselves on new products. The Sales Representative is no longer the prime source of product knowledge and the nature of their interactions has changed. According to the MMS Annual Physician Survey for 2016, only 18% of physicians prefer to hear about new product promotions through a Sales Representative. Preferences are now for less intrusive, digital interactions such as email, webinars and remote detailing sessions. As the industry shifts it’s focus from volume to value, Sales Representatives need to do the same. When a Sales Rep can add value to a physician, the nature of the interaction will change. When the rep understands the objectives and incentives of the doctors, they can deliver messages in ways that better align to the doctor’s needs. If a doctor is measured on patient outcomes or treatment adherence, reps can frame the discussion to describe how products and services will help the doctor achieve their goals. This is typically very difficult to achieve at scale across an entire sales team. Some high performing reps or those with experience will be able to drive these meaningful discussions, however many of the less tenured or average reps will not. This is where Axtria Triggers, using advanced data science to analyze multiple commercial data sources, can change the game. 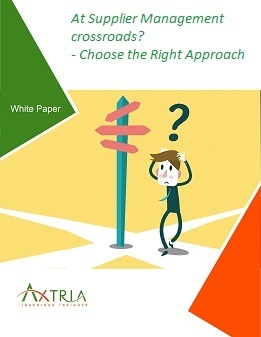 Axtria Triggers is a suite of analytic cloud services that provide signals for specific actions by Sales Reps with their target healthcare professionals. Axtria Triggers delivers business value to Veeva clients by providing their sales reps and account managers with regularly pulsed lists of target healthcare professionals that present notable risk, or opportunity, for their brand and message preference for those targets. Axtria Triggers enhances the effectiveness of Sales interactions, resulting in more effective details with greater impact on brand performance. Axtria is a Veeva data science partner and will showcase Axtria Triggers at Veeva Commercial Summit 2016. Axtria Triggers is built on a cloud-based analytics platform that integrates with Veeva CRM data, relevant treatment data, client promotion and other data sources, for all target healthcare professionals on a real-time basis. The triggers are delivered as insights that are integrated into Veeva CRM and iRep. Visit our Booth No. 10 at the Veeva Commercial Summit and learn how our Axtria Triggers can help you to drive more timely, relevant and meaningful engagements across your sales teams.